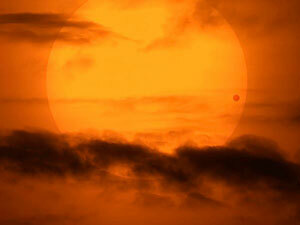 Venus Transit Beneficial for Film Industry? On 17 March 2013, 3 planets are conjoining in Pisces. Mars is already posited in Pisces since 4 March, whereas Sun has transited there on 14 March. Now, 3 planets will conjoin on 17 March when Venus will enter Pisces on this date. Each planet has its own features and affect the subject in a unique way. This time, the article is describing the saga of this unique planetary conjunction. Mars, Sun and Venus; all are considered as very strong planets. Impact of these planets affect one’s life in quite a unique way, especially when all 3 of them will combine together. Let’s know what effect this conjunction will put on you and world as well as nation. Amongst 5 elements of the universe, each planet is associated with one element. Sun and Mars are the planets of element fire, whereas Venus belongs to the element water. Now, we will throw some light on the effects of this conjunction over nation. If Medini Astrology is taken into consideration, this conjunction (especially position of Sun) is painful for Northern India. Recent terrorist attack on Srinagar has proven this fact correct. In South, some controversial situations may arise. Some international relations might get weaken. Transformation in certain policies and agreements are possible. Situations like fights and wars may arise at some places. It seems that nation is going through a hard time under this conjunction. Let’s move further to know how this conjunction will affect our environment. Possibilities of cyclones are there. At some places, it would be a little cold due to rain, but this will not continue for long. Conjunction of 2 fire element planets will make 1 water element planet suffer, hence heat will increase dramatically in weather. It means that weather would be cold in between at times but for a very short span of time, whereas heat will increase rapidly. Bollywood is a buzzword in India. Everybody is always keen to know about the happenings of Tinsel Town. That is why we have also predicted for Bollywood and Bollywood lovers. For Film Industry too, this time doesn’t look very positive. Films releasing in this time should not be expected to be providing a huge business. Even after performing well, viewers will feel that artistes are not performing well. Venus is in conjunction with Mars, therefore people allied with Film Industry should drive carefully. Especially, actresses need to stay more cautious because a film artiste might become the victim of an accident, or life may fall in risk. A film artiste or actress might get trapped in a legal trouble. Controversy may arise due to a film in South India. Therefore, people allied to the film industry should take each step carefully. Finally, we close the predictions on this conjunction here. Everything seems disturbed. However, it is also good for some. We cannot take this coincidence entirely negative. Everything has its brighter side. Just keep your hopes high and put best efforts, you will come out with flying colors in all facets of life. Even planets support the ones who carve their destiny with hard work. Finance Horoscope for March 2013 will give an insight for this month. With the help of this Finance Horoscope, you may plan your finances for the month of March 2013 in advance. This article will help you raise your financial status. Make the proper utilization of this Finance Horoscope for March 2013. The best part of AstroSage.com’s Horoscopes is that they are written after in deep research by qualified Astrologers. With our genuine services, we have carved a niche for ourselves in this competitive world. So, change your life by enhancing your financial life. Knowing everything in advance will help you in a better way. This month will give mixed results in the matters related to finance. In the starting days of this month, you might suffer from tensions related to finances. If in the second half of the month you are planning to go on a trip related to finances then the time seems in your favor. However, possibilities of expenses on some spiritual journeys or matters are there. You may get help from someone positioned as a higher authority. On the other hand, you might have to face expenses due to the bad health of your parents. If you are finding a new earning source then you will get some work due to your good reputation and you will also earn quite well. This month is not favorable for the matters related to finances. If you have lent money on someone then you may face troubles getting it back this time. In case you have lent money to a relative then keep patience this time otherwise arguments may rise up. Idea of following a shortcut for making fast money is not right. This may push in some trouble. You might also spend money due to some ailment. Stay at bay from suspicious deals. You may also face financial strains due to a bad habit.